There are few things as satisfying as making your own preserves. Whether it be jams, jellies, marmalades or pickles, there’s just something about that, that makes me glow with pride. I feel like the ultimate domestic goddess when I go through the process of taking fresh produce and preserving it for later use and even more so when I get to stock the fridge and pantry with these bottles of home-made deliciousness. I have been meaning to make pickled cucumber forever and when the green grocer I always go to had a buy-1-get-1-free special a while ago, I knew it was a sign. I decided on a pickling liquid (if that’s even what it’s called) flavoured with fresh dill, dill and coriander seed and garlic. I also wanted it to be a sweet and sour liquid like the pickles that I loved growing up. I used two enormous cucumbers for this batch and they have already been finished because they are positively addictive. They work incredibly well on burgers and I now have plans of taking this same liquid and pickling onions and jalapeños with it. Delicious pickles for all!! This makes a BIG batch of pickles. You can easily halve this quantity should you not require such a big amount of pickles. To make the pickling liquid, combine the ingredients in a saucepan and allow to come up to the boil. 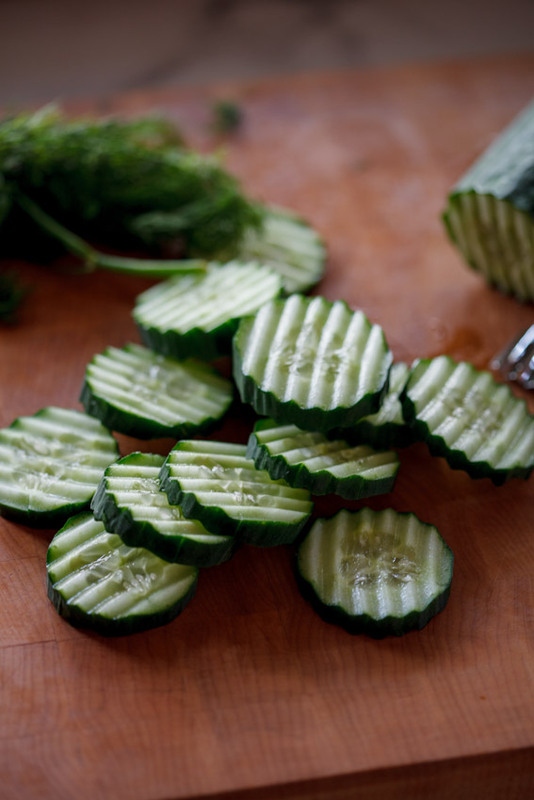 In sterilised jars, layer the cucumber, garlic and dill then top with the hot liquid. Close the jars tightly and allow to cool to room temperature. Place the pickles in the fridge and allow to stand for at least 2 days before serving. These pickles will keep, unopened for up to 2 months. Hi, can this recipe be hot bath canned so I don’t need to refrigerate until I want to eat them? It can, I haven’t tested it that way yet though so can’t guarantee success. How long do they last when opened? Do they lose their crunch from the hot water being poured over? No their crunch is great and they last around 2 weeks in the fridge once opened. Is white wine vinegar the same as grape vinegar? No but you can use them interchangeably without too much difference. I have never heard of white grape vinegar, and doubt I can get it in my city. Is there a substitute? 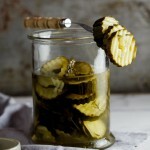 I want sooo much to be able to make a sweet and sour dill pickle! Regular dill pickles just don’t do it for me. Thanks! 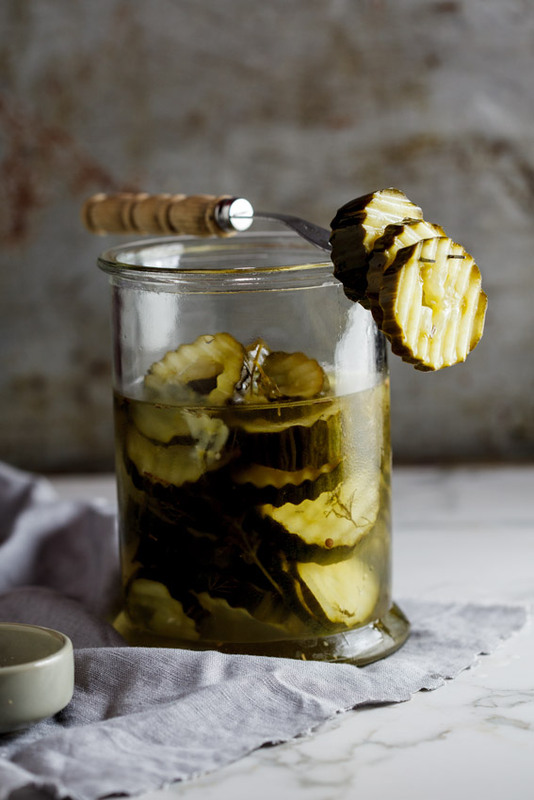 Any white vinegar (except white Balsamic) will work for these pickles. I hope you like these! 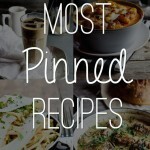 Let me know once you’ve tried them! I have never made my own picked cucumbers though I can literally eat a bottle of pickled cucumbers in one sitting!! 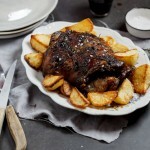 Will be trying soon! Ooooeee! 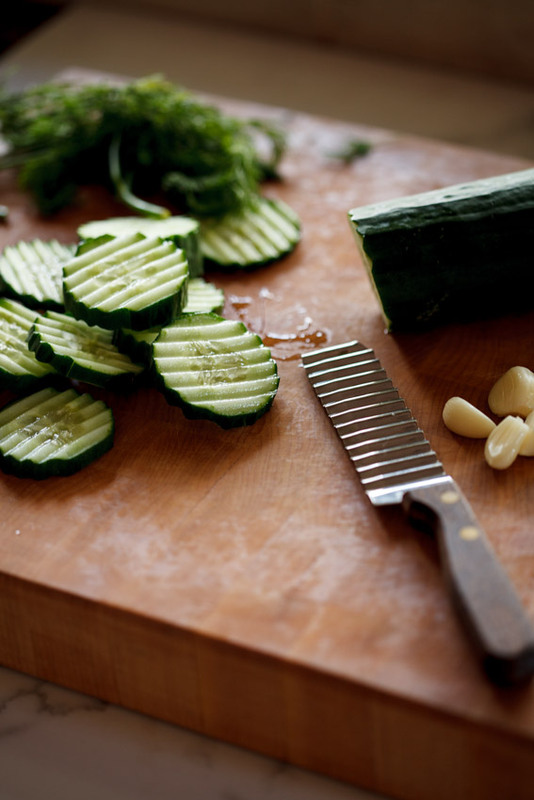 I have been looking for a good home made cucumber pickle recipe for a while now! Can’t wait to try out this one! Looks good!